The Senufo are an ethnolinguistic group composed of diverse subgroups of Gur-speaking people living in an area spanning from southern Mali and the extreme western corner of Burkina Faso to Katiola in Côte d’Ivoire. One group, the Nafana, is found in north-western Ghana. The Senufo number somewhere between 1.5 and 2.7 million and speak the various Senufo languages. 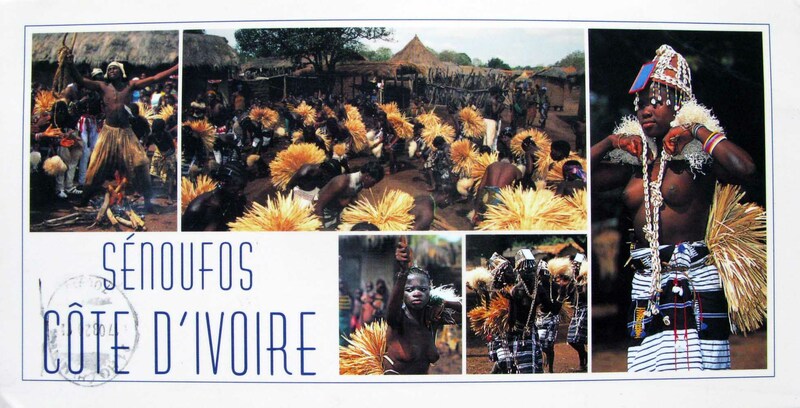 Korhogo, an ancient town in northern Côte d’Ivoire dating from the 13th century, is the capital of the Senufo people. The Senufo are predominantly an agricultural people cultivating millet, yams, peanut, and rice.